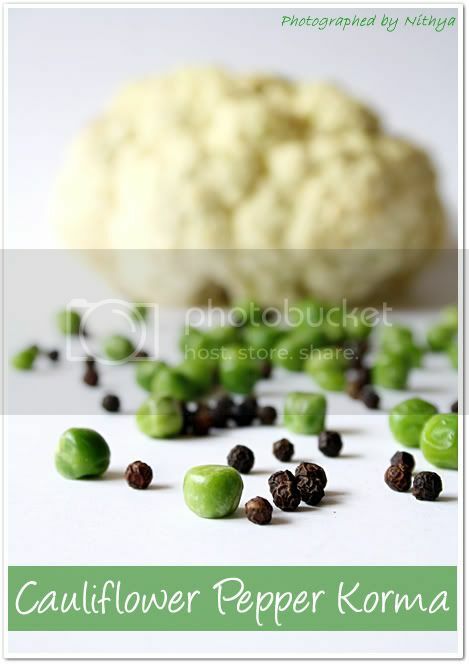 Cook cauliflower and peas. Dice tomatoes into small cubes. Grind ginger, garlic and onion together. Powder the pepper and cumin seeds. Once all the above is ready, take a pan and add two tsps of oil and fry the tomatoes till tender. Add the ginger, garlic and onion paste and fry for few minutes till the raw smell goes and your kitchen starts smelling heavenly. Now add the cooked cauliflower, peas, pepper powder, cumin powder, Chilly powder, sugar and salt into the pan. Add adequate water to make gravy and allow it to boil for a while. Mix in the corn flour with just a little water and add it to the gravy stirring it continuously. This gives the gravy a slightly thicker consistency and also the shine ;) I do this addition to most of my kormas to combine the vegetables well with the gravy. For additional taste, you can smear some salt and half cook the cauliflowers and deep fry them in oil before adding it to the gravy. 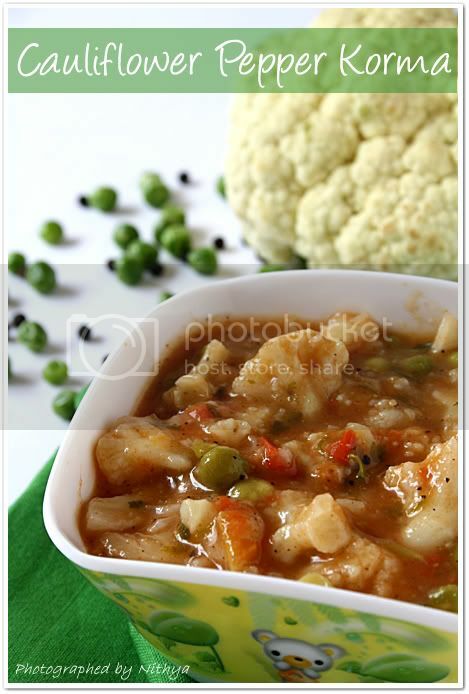 Cauliflower pepper korma looks delicious Nithya. I love to have with my roti. NIthya, this curry sounds yummy to me..along with your picture.. 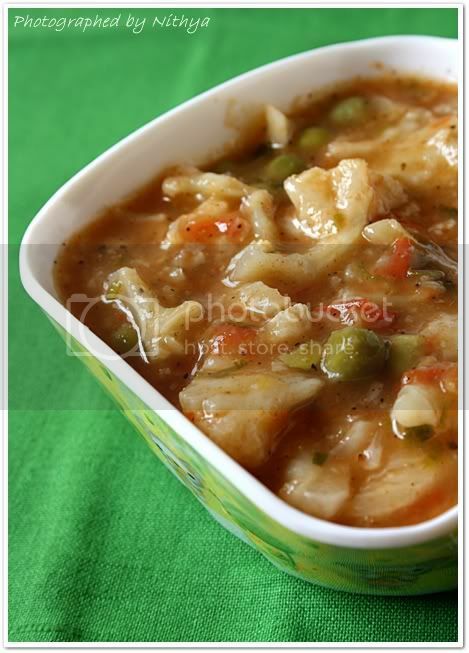 Delicious kurma..loved the pics !! Luks colorful nithya..nice recipe too.. The curry looks yumm! perfect with rotis. 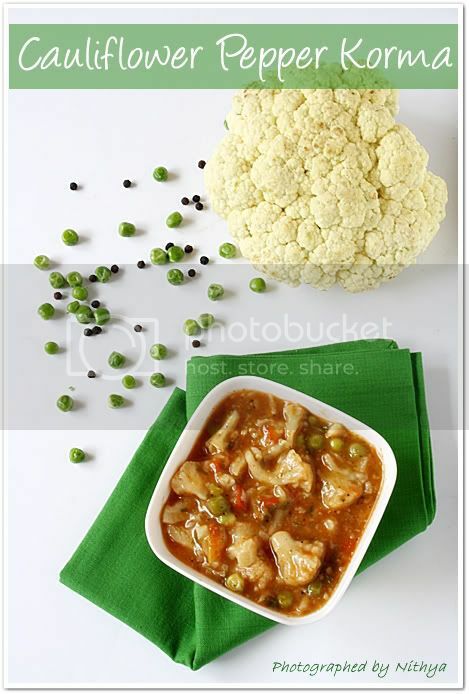 wow...this cauliflower dish looks totally delicious! Amazing combo.. Bookmarked.. Gonna try it soon..
Korma looks great Nithya. I have cauliflower and Peas in my fridge. Will try it during the weekend. Gravy looks very creamy and tempting. Nice recipe. 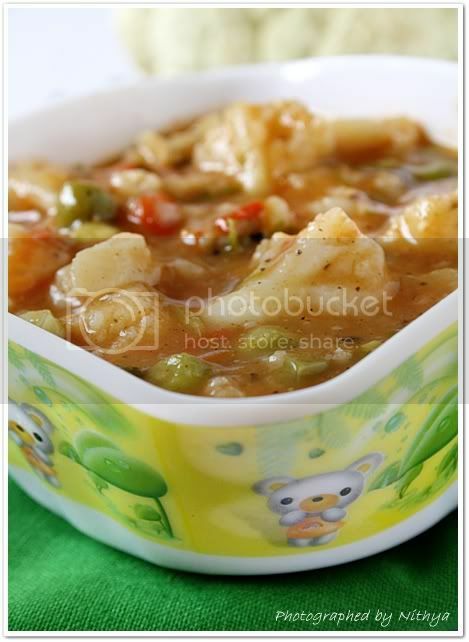 Simple n yummmy...nice combo wid roti..
U'r kurma looks tempting, and the Bowl is very attractive! Such a droolworthy and fabulous looking korma..
such a nice version of korma without the addition of coconut.Love the idea of adding fried cauliflower too. atleast can make when we have guests around. That's an unique kurma recipe and sounds really spicy,the cumin and pepper combo makes it really flavorful isn't ? :) Sure should try sometime as my kiddo love cauliflower! 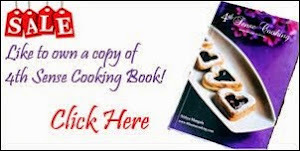 tempting clicks speaks its taste..yet another yummy recipe from you dear. Chappathi and Kurma - a combo made in heaven indeed! Love the flavors here! Amazing clicks !! Looks yumm !! Really tempting.